Ph. D., Electrical Engineering, 2000. 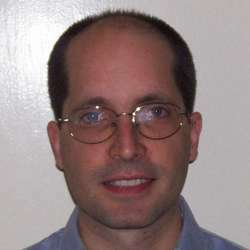 Researcher at Bell Labs, 2000-present. G.fast: Evolving the Copper Access Network, M. Timmers, M. Guenach, CN, and J. Maes, IEEE Communications Magazine, v. 51, no. 8, Aug. 2013, pp. 74-79. The ITU-T’s New G.vector Standard Proliferates 100 Mb/s DSL, V. Oksman, H. Schenk, A. Clausen, J. M. Cioffi, M. Mohseni, G. Ginis, CN, J. Maes, M. Peeters, K. Fisher, P.-E. Eriksson, IEEE Comm. Mag., 48(10), 2010. Energy Management of DSL Systems: Experimental Findings, M. Guenach, M. Ben Ghorbel, CN, K. Hooghe, M. Timmers, J. Maes, IEEE Globecom 2013. Power-efficient Copper Access, M. Guenach, CN, J. Maes, M. Peeters, Y. Li, D. Van Bruyssel, and F. Defoort, Bell Labs Technical Journal, 15(2), 2010. Performance of Digital Subscriber Line Spectrum Optimization Algorithms, M. Zivkovic, G. Kramer, CN, C. Posthuma, J. Wheeler, P. Whiting, and A. de Lind van Wijngaarden, Bell Labs Technical Journal, v. 13, n. 1, Spring 2008. Analysis of Inverse Crosstalk Channel Estimation via SNR Feedback, P. Whiting, G. Kramer, CN, A. Ashikhmin, A. de Lind van Wijngaarden, M. Zivkovic, IEEE Trans. Sig. Proc., vol.59, March 2011. Mitigating Signaling Overhead from Multi-mode Mobile Terminals, Indra Widjaja and CN, International Teletraffic Conference (ITC), Sep. 2011. Modeling LTE/UMTS Deployment with Patchy Coverage, I. Widjaja, H. La Roche, CN, Vehicular Technology Conference 2010, Sep. 2010. Contraction Approach to Power Control, with Non-Monotonic Applications, CN, GLOBECOM 2007, Nov. 2007. Large deviation asymptotics for occupancy problems , P. Dupuis, P. Whiting, and CN, Annals of Probability, 32, pp. 2765-2818, 2004. Large deviations principle for occupancy problems with colored balls, P. Dupuis, CN, and P. Whiting, J. Applied Probability, 44, pp. 115-141, 2007. Wavelength assignment for partially transparent networks with reach constraints, K. Kumaran, C. J. Nuzman, and I. Widjaja, J. Opt. Netw. ,2, pp. 285-302, August 2003. Time-domain Wavelength Interleaved Networking with Wavelength Reuse, CN and I. Widjaja, IEEE INFOCOM 2006, April 23-29, 2006. Simulation of Power Evolution and Control Dynamics in Optical Transport Systems, T. K. Ho, T. Salamon, R. Freund, C. White, B. Hillyer, L. Cowsar, CN, D. Kilper, Bell Labs Technical Journal, 10(1), pp. 119-137, Spring 2005. Network capacity recovery and efficient capacity deployment in switching centers, N. Nithi, CN, and B. Y. C. Tang, Bell Labs Technical Journal, 9(4), pp. 83-100, Winter 2005. ROADM enabled optimization in WDM rings, P. Risbood, CN, N. Nithi, and S. Patel, Proc. Optical Fiber Commun. Conf. (OFC2005), OWG1, March 2005. Design and implementation of wavelength-flexible network nodes, CN, J. Leuthold, R. Ryf, S. Chandrasekhar, C. R. Giles, D. T. Neilson, J. Lightwave Technology, Special issue on Optical MEMS, 21:3, March 2003. Optical switch dimensioning and the classical occupancy problem, V. Eramo, M. Listanti, CN, and P. Whiting, Intern. J. of Commun. Syst., 15:2/3, pp. 127-141, March 2002. Effects of modularity and connectivty on OADM deployment in ring networks, CN, K. Kumaran, N. Nithi, I. Saniee, D. Levy, P. Mitev, Proc. Optical Fiber Commun. Conf. (OFC 2003), WH5, pp. 360-361, March 2003. Performance of an optical switch based on 3-D MEMS crossconnect, A. Olkhovets, P. Phanaphat, CN, D.J. Shin, C. Lichtenwalner, M. Kozhevnikov, and J. Kim, Photonics Technology Letters, 16:3, pp. 780-782, March 2004. 256x256 Optical Crossconnect Subsystem, D.T.Neilson, R.Frahm, P.Kolodner, C.A.Bolle, R.Ryf, J.Kim, A.R.Papazian, C.J.Nuzman,A.Gasparyan, N.R.Basavanhally, V.A.Aksyuk, J.V.Gates, IEEE Journal of Lightwave Technology, 22:6, pp.1499-1509, 2004. A compound model for TCP connection arrivals, with applications to LAN and WAN , CN, I. Saniee, W. Sweldens, and A. Weiss, Computer Networks, Special Issue on Long-Range Dependent Traffic, 40:3, pp. 319-337, October 2002. Reproducing kernel Hilbert space methods for wide-sense self-similar processes, CN and H. V. Poor, Annals of Applied Probability, 11(4), November 2001, pp. 1199-1219. The Linear Structure of Self-Similar Processes, C. Nuzman, Ph.D. thesis, Princeton University, November 2000. Linear estimation of self-similar processes via Lamperti's transformation, CN and H. V. Poor, Journal of Applied Probability, 37(2), June 2000, pp. 429-452. On the linear structure of self-similar processes, CN and H. V. Poor, Proc. IEEE Intern. Symp. Info. Theory, June 2000, p. 498.